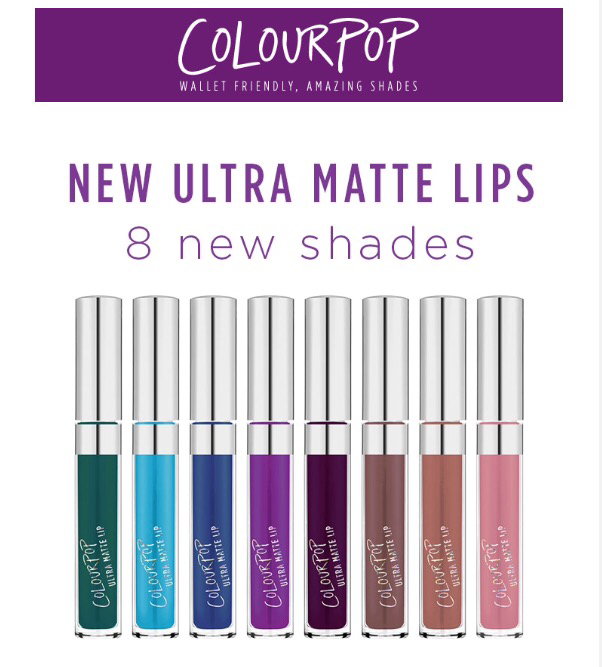 Of course, a week after I place an order, Colourpop adds 8 new vibrantly beautiful shades to their Ultra Matte Liquid Lipstick line. I can’t wait to see some swatches on these. I now own Creeper, Bumble, and Solow. I am currently in the process of writing my review on a pretty large and diverse collection of Colourpop products. Stay tuned!!! Looking back forward to reading your review, these look interesting! Good Morning!! Thanks again for being so kind to think of me! Hope you are having a great day.